A follow up to the Grande Punto, the Fiat Punto Evo is a solid entry in the supermini class. Attractive styling is balanced with an upgraded interior that includes a well-equipped cabin offering plenty of standard equipment. As well as being enjoyable to drive, the Punto Evo is also economical to run and a great choice for drivers looking for an economical selection. 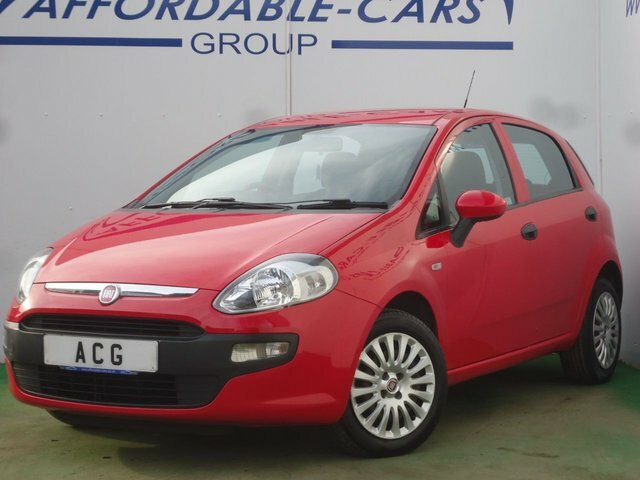 Find yourself behind the wheel of a used Fiat Punto Evo in Leeds today by contacting a member of the team at Affordable Cars (Yorkshire) Ltd. Rest assured we'll go the extra mile to help you find a pre-owned car that fits your lifestyle and budget.